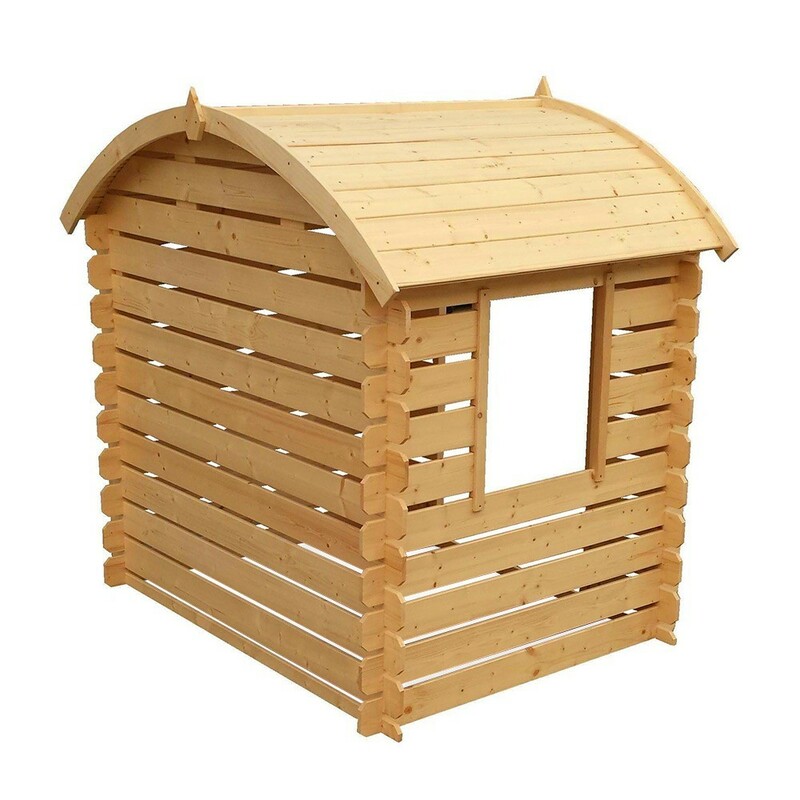 Install a Lacanau wooden playhouse in your garden and creat a new play area for your children. 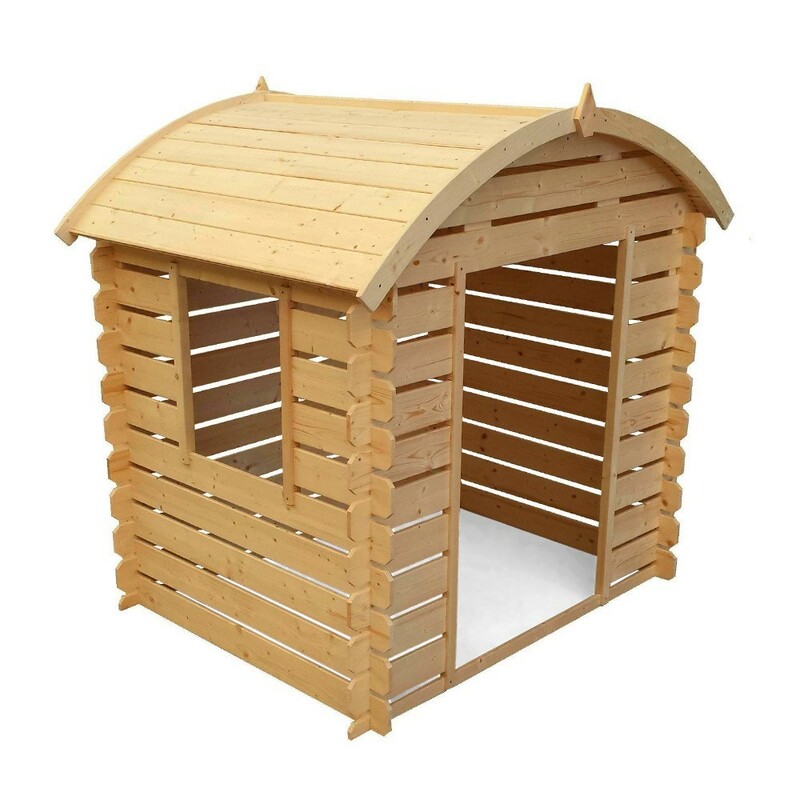 This playhouse is small with a simple design and will easily fit into your gadren. - The Lacanau playhouse has an open entrance and and a window. Made with solid planks of spruce wood, do not forget to stain the wood to protect it from outdoor elements (rain, sun...). 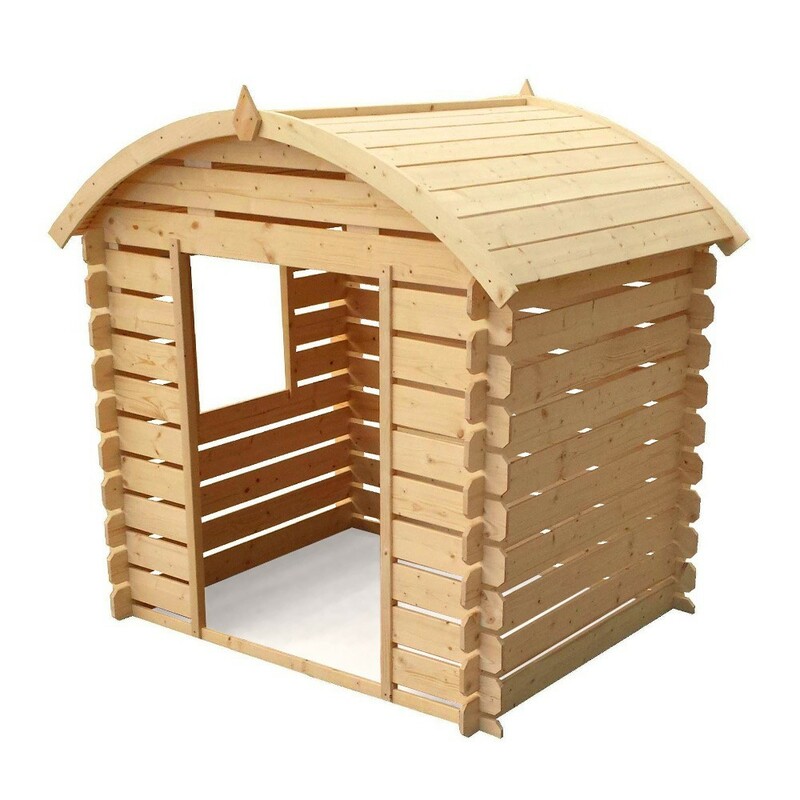 You can also customize the playhouse with wood. 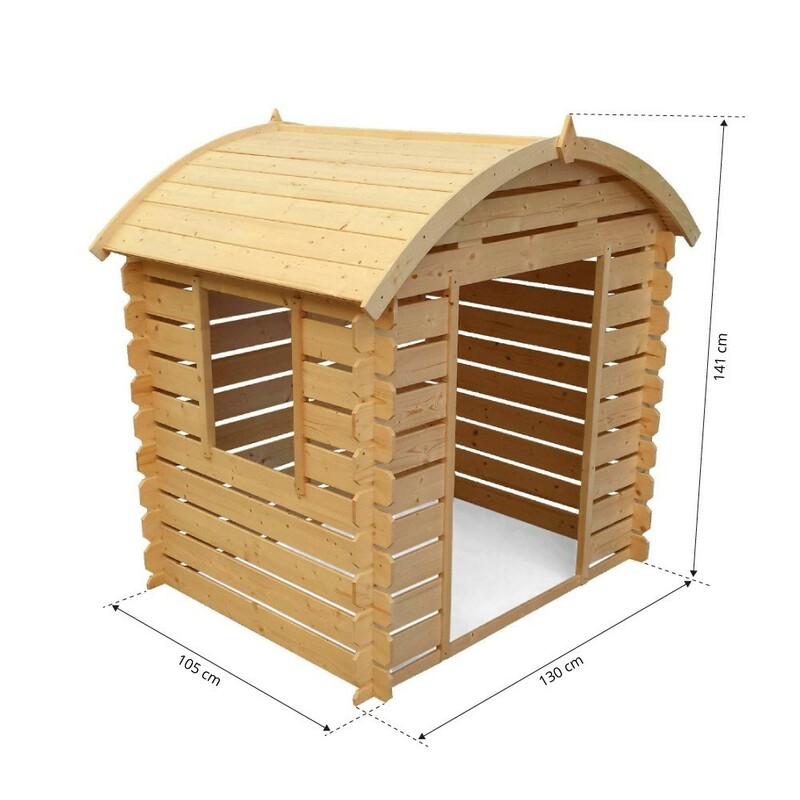 - The rounded roof will set your playhouse apart form other models on the market. 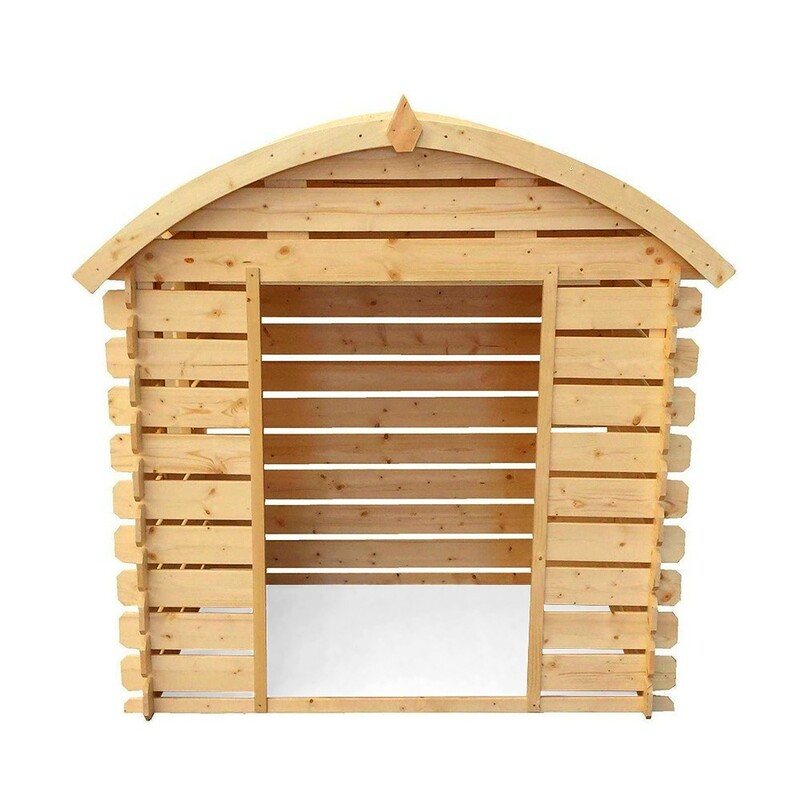 - Dimensions : 130 x 105 cm for minimal clutter in your garden! - Easy and quick to assemble!